Enter Vistaprint coupon code: VPSAVENOW in their promo box at checkout. Details: This coupon also gives you $5 off $25 or $10 off $50. Use coupon code: FIRSTORDER Details: 20% off your order. Maximum savings of $400. Plus, Free Shipping on orders over $50. Online Sale: Discount applied at checkout. Includes: Posters, Bumper Stickers, Banners, Car Door Magnets and More. 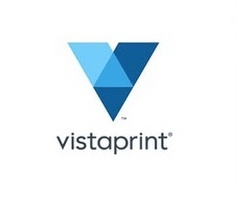 Use Vistaprint coupon code: SALE50 Note: This coupon comes only a few times a year, if you need office supplies or marketing materials for your business now is a good time to buy. Vista Print is an online retailer of printing and marketing services for consumers and small businesses. You can customize your own business cards, stationery, invitations, banners, websites and other promotional material quickly and easily at affordable prices. Place an order today and "make an impression". Use our Vistaprint coupons above for extra savings.